Teddy has been gone one year today………. Such a good looking boy! Always ready for a photo op! That is splendor in the grass if I ever saw it! 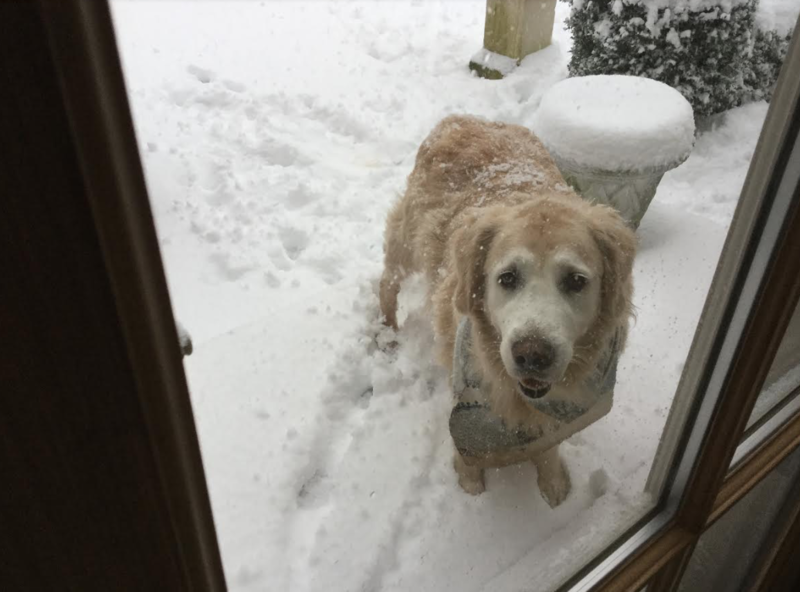 He was definitely a snow bunny….loved playing in it! Mom, I am ready to come in! That smile could melt anyone’s heart! Teddy lived a very happy and full life. He knew he was surrounded by those who loved him so much and that makes me happy to know he had the best life we could give him. Here is the post I posted exactly a year ago if you missed it honoring Teddy’s life, click here to read it. I was so touched by the outpouring of kind words, support and love I received. 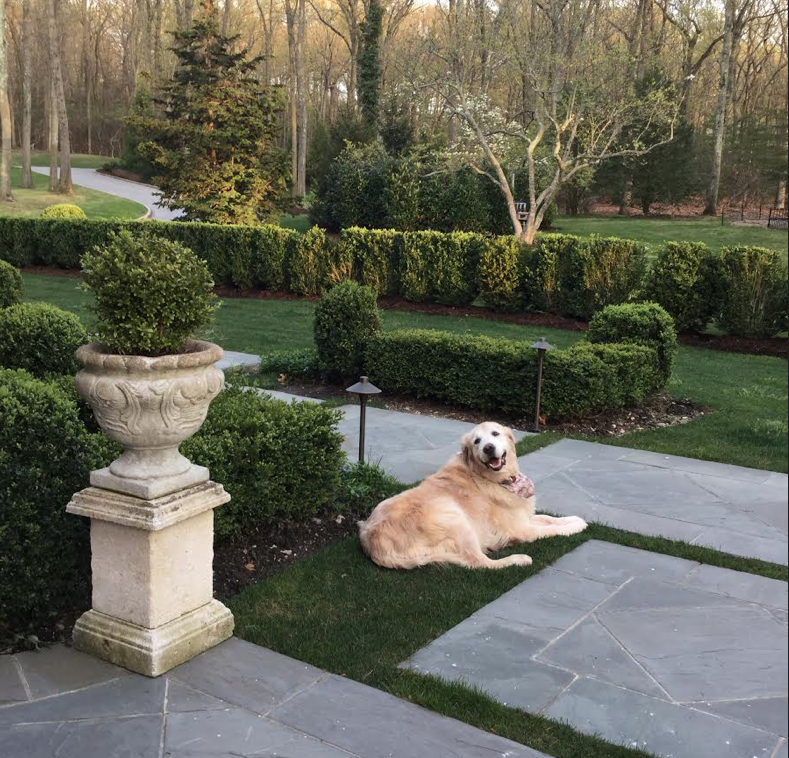 I remember up until not long ago I could not look at a picture of Teddy without tearing up and crying, now I look at his pictures and smile knowing what a beautiful life we had together….a sign that my heart is healing not having him here with us. To anyone who has loved and lost a pet, you know the pain of which I speak but the joy that they bring into our lives as well. And it’s that joy that somehow stays alive in our hearts forever. 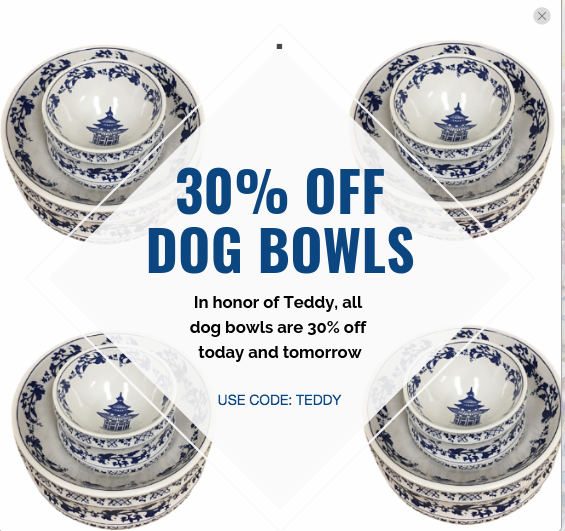 PS In honor of sweet Teddy, our beautiful blue and white porcelain Teddy pet bowls are 30% off today…a first! Click here to see them. 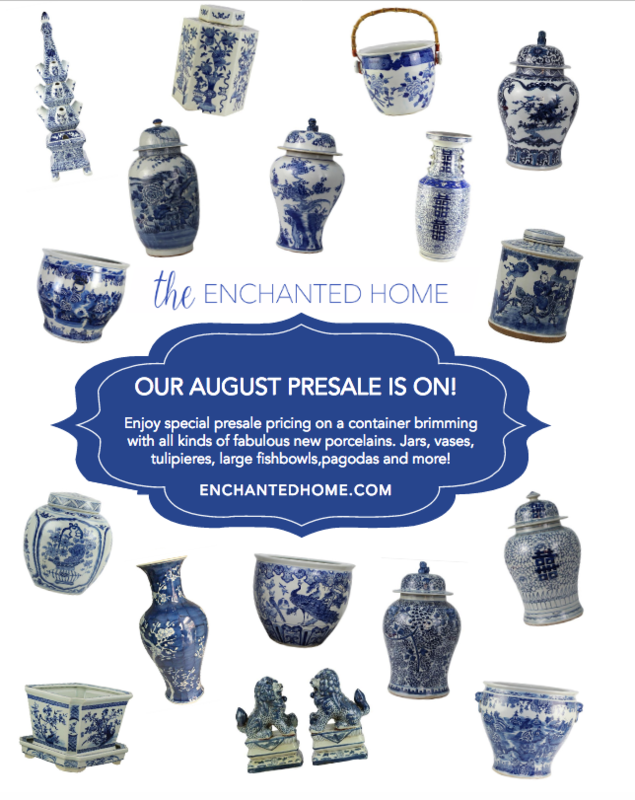 PPS Last and second day of our amazing porcelain arrival sale! So many beauties, many previously sold out favorites and some gorgeous new additions. Plus a chance to win a pair of beautiful foo dogs! Click here to see the sale. It is a happy note that Teddy was so loved by your family. Condolances. Wonderful pictures of Teddy. My daughter lost her 16 year old Shitzu a year ago and it’s sister the year before. She has been so broken-hearted over the double loss she can’t bring herself to get another pup yet. She needs to. Greta Van Sustern recently lost her Audrey (a doodle) and did not wait long before getting another, Annie. She said Annie is healing her broken heart. I think it is good to get another one –you don’t think it will be right to replace your beloved pet, but the new one just takes a different place in your heart. What a beauty Teddy was! Those are great pics! Tina, Teddy was a sweetheart. I loved seeing his smiling face on the blog. I know how you feel my sweet Munchen has been gone 3 years and not a day goes by that I don’t think of her sweet face and the 14 years and 10 months of joy she brought my life. thinking of you and Teddy! Tina, I know the heartbreak of losing a fur baby too well. 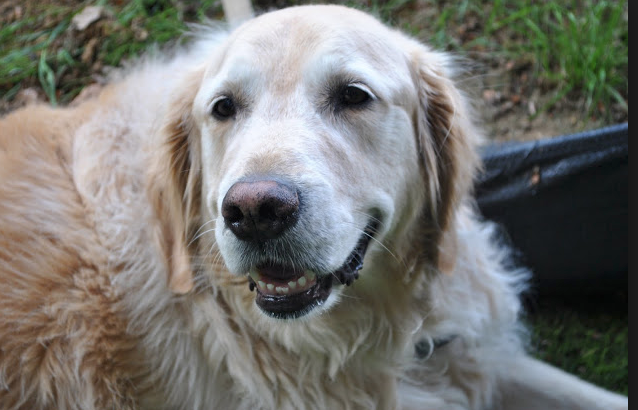 I also have not been able to get another dog to replace my best friend, Gabby, who passed 3 years ago. As you said, my heart is just not ready. Sending you warm thoughts on this day. Tina, as I sit sobbing and searching the net for comforting words, my sis sends me your post. 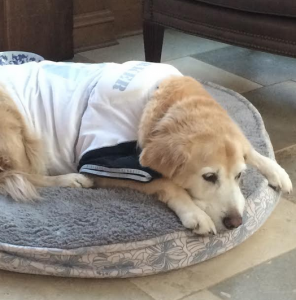 We put our Aggie girl down yesterday and I realize a broken heart is a real thing- it physically hurts. 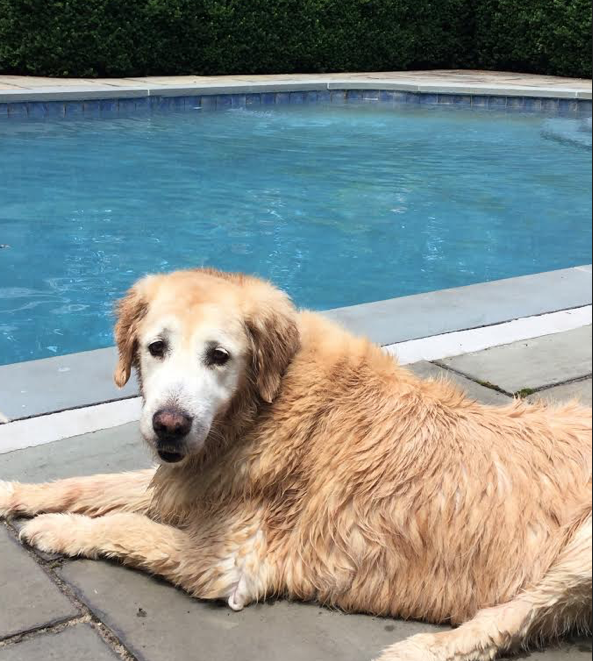 We too had her for 13 years. Your post makes me hopeful I can smile again one day. Besides the fact my last child went off to school last month. As her caregiver she was the first thing that popped in to my mind in the morning, and the last in the evening because she relied on me for everything. Right? It’s hard to believe its been a year since you lost Teddy. We had to put our dog down about 3 years ago and although my husband was ready for a new dog before I was, I finally felt I could share our home and love with a new puppy. We got a miniature Schnauzer in June and absolutely love him! The housebreaking part not so much (LOL) but he is so precious and already soooo spoiled. You’ll know if and when the time is right to open your heart and home to a new dog…..it takes a while and that’s okay. I’m dreading the day I lose my Yorkie. Teddy was such a cutie! He was one lucky, puppy! Thank you for sharing and making us smile, Tina. I miss him too but so happy you include him in every post… love to see him in your blog. Again, thank you for sharing him with us; I feel honored. Oh, what a beautiful tribute to your beloved Teddy! I am so glad your heart is healed a bit to fully enjoy all of your precious memories. I’ve been there several times, and it’s a slow process, not to be rushed. We have a 13 year old Airedale who is a gigantic part of our lives, and I’m just trying to savor every day I have with her. Thanks for sharing these awesome pictures of your Teddy. In memory of beautiful Teddy. He brought his family joy. I should have never read this while at work, because my heart is broken and I’m a weepy basket-case. What precious memories of a wonderful, wonderful soul. One day, you’ll be back together and what a joyous, happy reunion! Blessings to sweet Teddy. May your sweet boy be resting in the peace of eternal life. Thank you for sharing the photos of Teddy. What a lovely tribute. I love to scroll down to the bottom of your posts to see what image of Teddy is posted, it always makes me smile. I have a 10 year old Flat Coat Retriever whom I adore. He’s my “velcro puppy” – always at my side and with me in the car. Even though we often outlive our wonderful animals, they enrich our lives immeasurably. I grieve with you Tina. There are no words to describe the love that our furry friends gave us. They will always have a special place in hearts. Sweet boy. They come into our lives and never leave us. Wonderful photos of a sweet dog! Unconditional love from our pets is the greatest gift. What a great way to honor teddy and memories! Thank you for sharing. 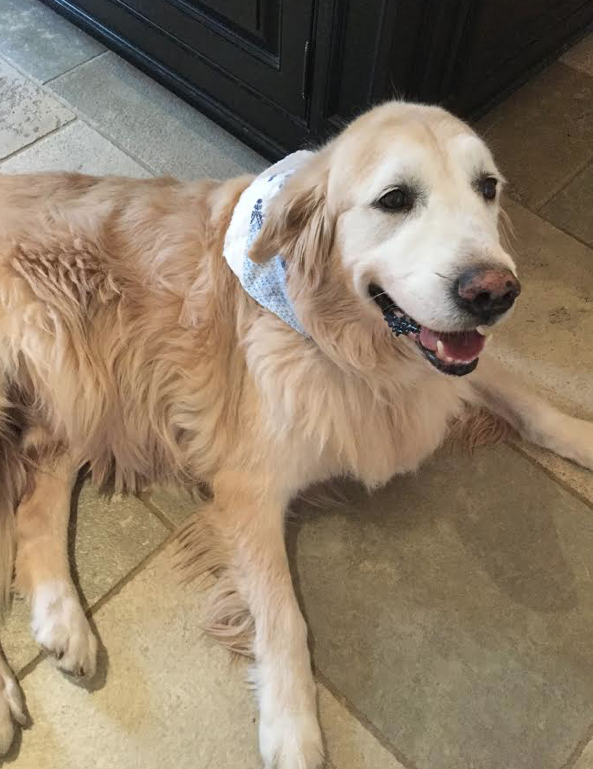 You will know when the time is right to have another dog in your life….there will never be another Teddy, but our hearts make room for another to share love and happiness. I have been where you are. Linda said it well. We lost our sweet dog of almost fifteen years. I could not bear to get another. My husband insisted. He was right. I was wrong. We now have another sweetheart who has been with us for five years, and there is no doubt she loves US as much as our last darling did. What JOY. You’ll know when it is time to fill the void. He was a precious gift. Greatly missed. Each time I read your post and reach his ending picture I feel my heart swell. Thank you for sharing him. “Dogs are not our whole life, but they make our lives whole.” (Roger Caras) What a precious love you guys shared. I feel the same about my 3 dogs, they give my life such dimension. Hugs! Tina, His paw print will always be on your HEART. Gone but never ever forgotten! My sweet Niki went to Heaven three years ago leaving me broken hearted. I loved him too much. But as Mothers , we love all our children equally and so within a month of Niki’s passing we got another Cavalier, a wee bit of a puppy, Pepe weighing in at 5 pounds of pure love. I don’t love my sweet Niki any less and Pepe has done a fabulous job of healing my heart from the loss of Niki. My hope and belief is when I pass from this life I will be greeted by my Savior Jesus CHRIST and running along toward me and to welcome me will be Niki and all of my sweet pets. What a day!!!!! God know what we need in Heaven and he will be waiting there for you. God bless you and thank you for sharing. God knows what we need in Heaven and he will be waiting there for you. God bless you and thank you for sharing. Teddy lived such a wonderful life with you and your family. There is nothing you could have done to make his life more special. Know that you did your best for him and that he died knowing the true meaning of never ending love. Lucky Teddy and lucky you! Such a lovely tribute to your wonderful friend and pet. For those of us with a “Teddy” in our lives, your post was very touching. Keep thinking of your best friend and keep the memories close to your heart. it Is wonderful to reminisce our time with the pets we loved-and who loved us back! Keeping their times with us in our minds and hearts! We lost our little girl 3 years ago and like yourself cannot think of being able to love another quite as much. So happy that your Teddy had a wonderful family to love! I love to see the pictures of Teddy at the end of the post. They make me smile! Our Hallie is our 4th Golden Retriever. She will be 13 on Halloween. 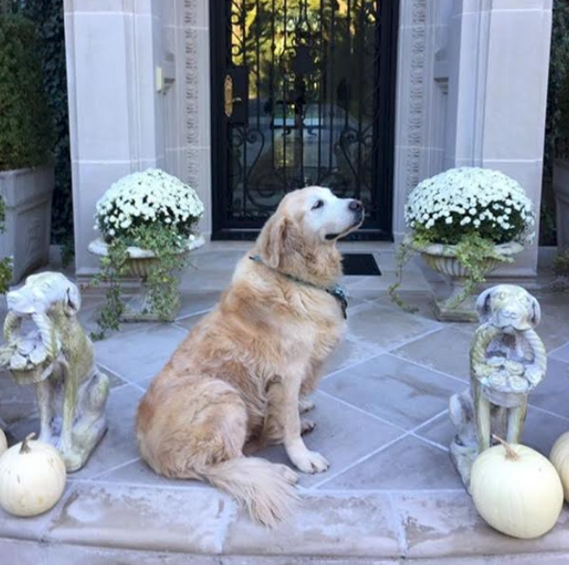 There is nothing like a Golden, as you know. I deeply share your loss…spell dog backwards, see what it spells???!!!! Soooo true…their love is so full and unconditional. I love your blog but my favorite part was always Teddy. His spirit came through in every photo. I can’t believe it’s been a year.i remember reading that blog and sobbing. We all lost him that day. Thank you for sharing. Teddy was a beauty! Thanks for sharing your pictures with us, he’s handsome! Losing a dog is the worst…I totally get where you are coming from. I’ve had dogs all my life and each time I feel like I never will have another one as great as the one that just passed. The truth is that I have been proven wrong each time, I end up loving the next dog just as much. A wise person once told me, that your dog will love you as much as you love and give them. I agree. The next dog you get Tina will be a wonderful friend like you were to Teddy. 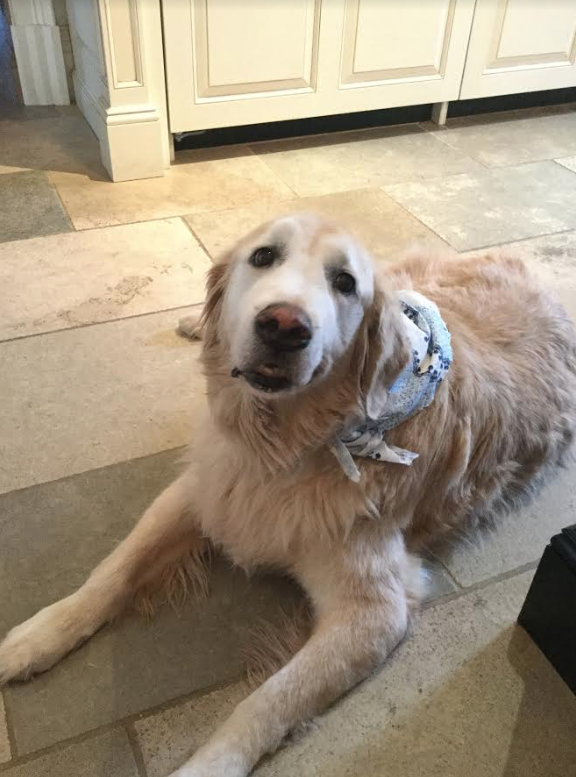 He was loved and lucky to be a part of your family! 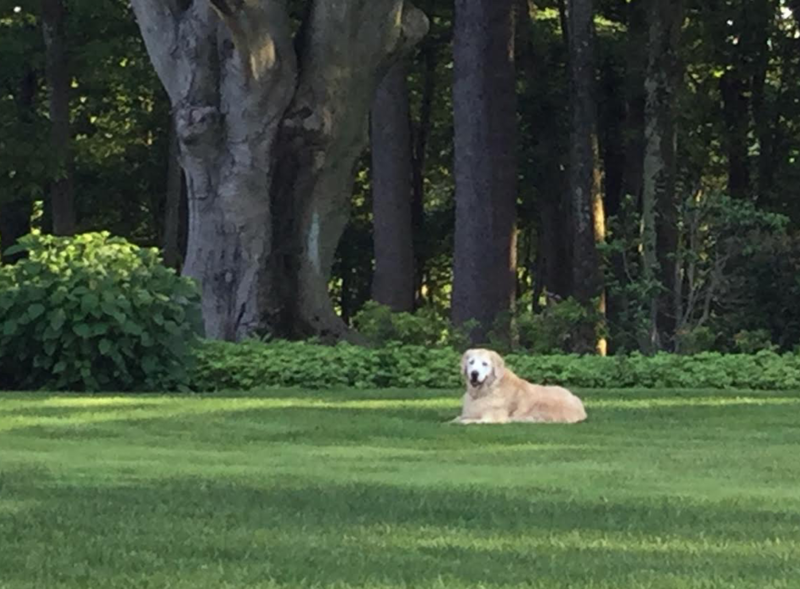 What a special tribute to a loyal companion….dogs are such a wonderful part of any family…but when they go, you can know you gave him the best life ever…and you get to keep the memories. In all the pictures you can see that Teddy loved and was loved.. And I can tell he was a ‘love’! It’s so difficult when we lose a member of our family. 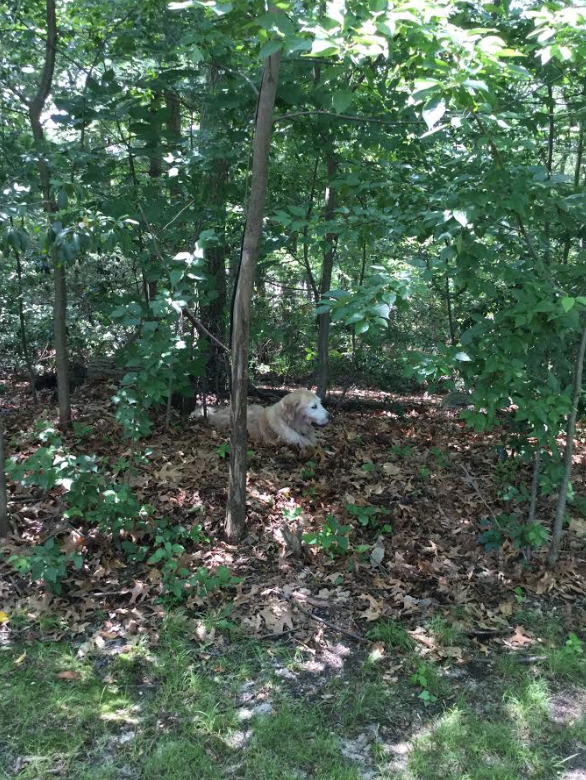 My Malamute, Sammy was a member of my family… He died at age 13 2 years ago and I still get a little teary when thinking about him…. We do have another one Mali now: Jack, and he is a love, also… Everyone has to deal with loss in their own way.. Sometimes it takes a while. I waited until Jack ‘found’ us.. just like our Samson.. I understand what you’re feeling, as do many other ‘moms’ and ‘parents’ of fuzzy children.. They bring so much joy to our lives…and they’re gone too soon. What a beautiful and heartfelt post. I remember the first time I saw your ad in a catalog. The ad caught my eye because of Teddy. I knew your blog was going to be special and I was not disappointed. Teddy will always have a special place in your heart. Thank you for sharing him with us. Never to be forgotten, your and our Teddy! What a sweet post in remembrance of your beloved Teddy! I always enjoyed seeing the photos of him. 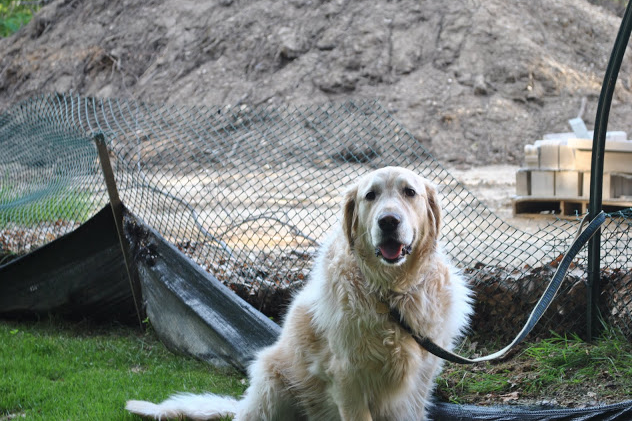 He was such a faithful companion to you and will always hold such a special place in your heart. Thanks for sharing these fond memories of him! We lost our 17 year old Cocoa several years ago; We had to put her to sleep due to a brain tumor. That was one of the most difficult things I ever had to do. About 7 months later, my 23 year old daughter and I were out shopping and ran into a random pet adoption at our mall. I didn’t think I’d ever love another dog, but the minute we held him, we knew he was special. Now we are inseparable and when we travel he goes to our favorite doggie hotel. The heart has an immeasurable capacity for love. Every pet is different, but it’s like having your first child and then thinking about having a second and saying how could I ever love another child as much as I love the first; but that second child is just as lovable- just a different personality. Teddy not only lives in your heart but in your posts, and he continues to spread joy to everyone he touches. I’m glad you’re able to smile now when you think of him. He’d want it that way. Warm thoughts for you as you remember Teddy today. The pictures are just lovely. If I had to chose, the third one is my favorite. Regal, is the word that comes to mind. Dear Tina, I hope you will consider another dog soon. As a 5 time German Shepherd rescue Mom, I promise you will love him/her just as much – different,yes, but just as much. Somewhere there is a dog in a very bad situation, in a cage or worse who desperately needs a home. You can’t have your Teddy, but you can save another one. I promise you won’t know how you got along without him/her. You have a wonderful life to give any dog – please consider. I’m thinking there is a dog somewhere, someplace patiently waiting for you! Tina, so glad you posted all the pictures of Teddy. I don’t know if you have ever heard that dog is God spelled backwards and that God of course is unconditional love which Teddy most definitely gave you and your family. What a beautiful tribute to your Teddy. Our furry friends truly are magical beings. They never leave our hearts. Thank you for sharing. 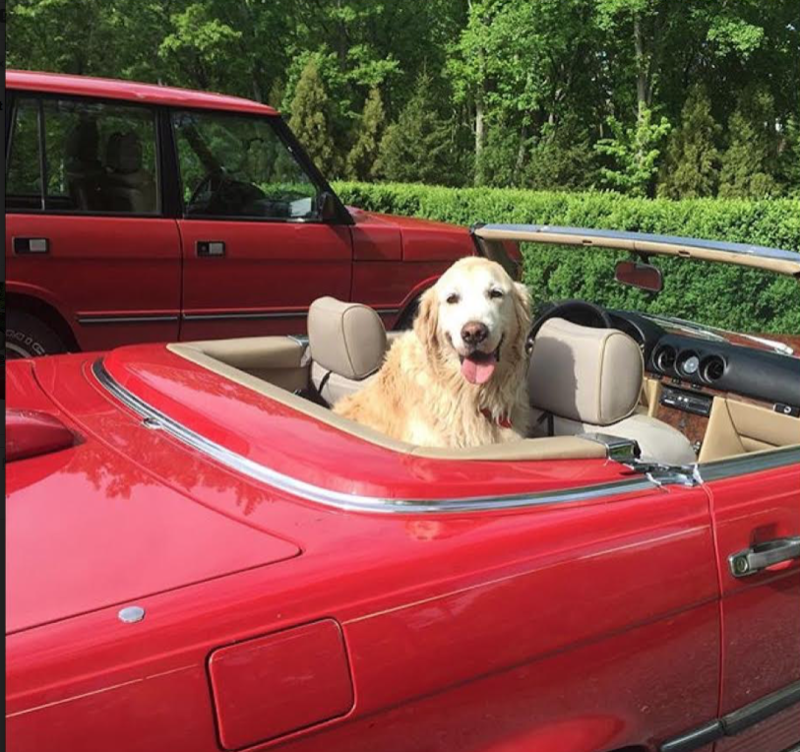 My beloved Max left us 8 years ago and I still miss him every time I drive up to my house. He was always there outside waiting for me no matter what time I arrived home day or night. We have since gotten another dog due to the wishes of my husband and sons but for me there will never be another dog like my sweet Max. I empathize with your loss. Loving a new fur baby will not diminish your love for Teddy or be a betrayal of his love for you, but in fact it’s a tribute to him and all the joy he gave you during his lifetime. You will know when the time is right, but a house is just a house, but my “girls”(3 Labradors) make wherever I am home. What a sweet tribute to your beloved Teddy. My sweet dog, Asia, also smiles when either my husband or I get home. It’s the sweetest thing and it warms my heart so. 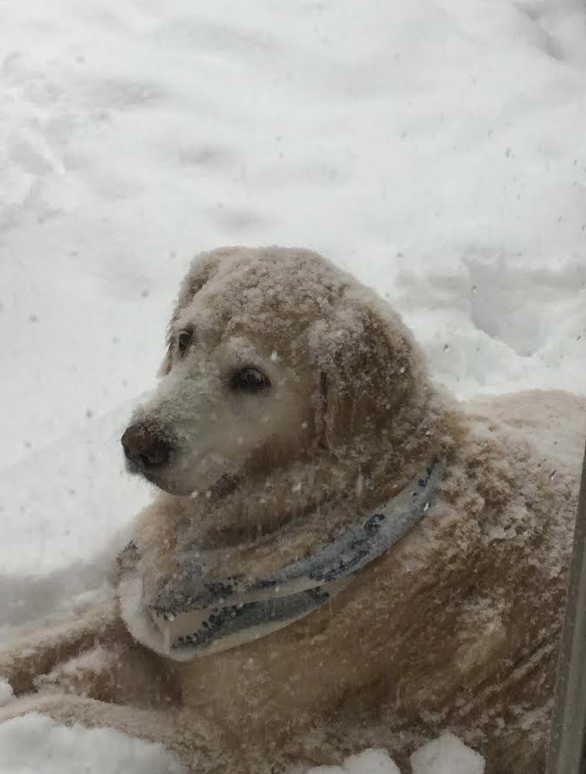 She, too, likes to go for car rides but now that she is 15 years, sometimes she doesn’t feel like going and just lays down. I am so glad that you are able to smile and that your heart is healing. Warmed my heart reading the pleasures that Teddy endured being your sweet boy!! I know exactly how you feel having lost many beloved pets. I still get teary eyed when I see Teddys pictures and what a ham he was…. I also lost my most loved companion, a sweet Westie named Rascal He’s been gone 4 months and I will always miss him. However I have opened my home and my heart to a tiny 5 year old Yorkie named Maddie. She was rescued from a puppy mill in Ohio where she spent the first 5 years of her life confined to a cage. I just picked her up today and she is busy exploring and getting used to her new home and her new Mom. She can’t take the place of Rascal but love expands to fit in another one whe needs it! This post and last year’s touch my heart. 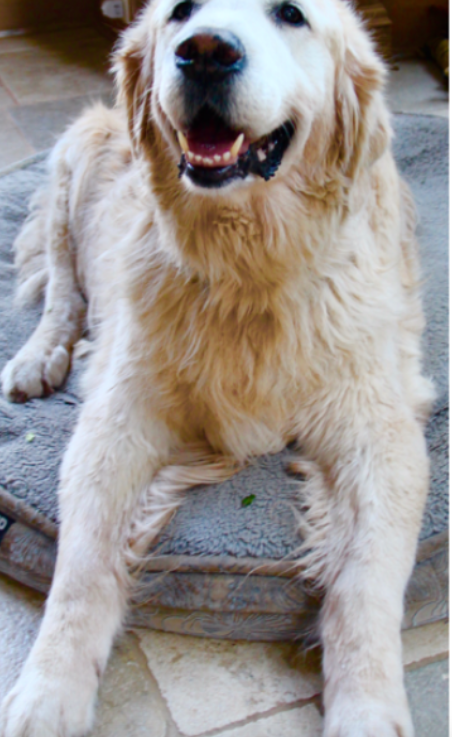 I lost my beautiful Golden boy Gunner 2 and half years ago, and I still miss him so much. We had him for 11 years. Looking at your Teddy brought a tear to my eye as I thought of Gunner and your recollections remind me of mine. While we did get another Golden a year and a half ago, it’s not the same. My new pup is Hunter. He’s a character and has allot of energy (you forget how active puppies are when you had an older dog). I’m only recently beginning to love him. 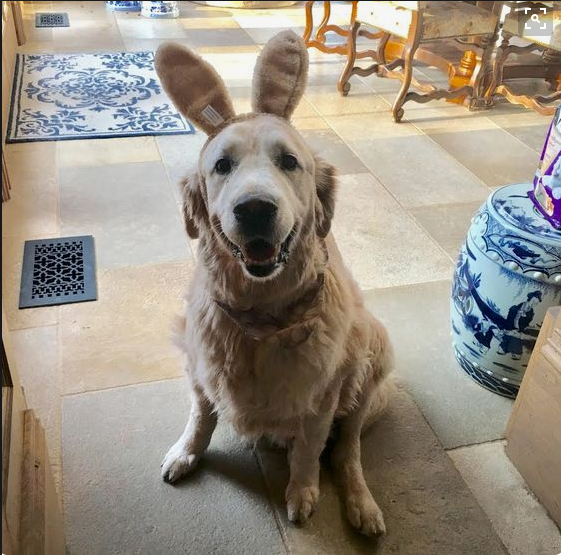 I not saying he wasn’t fun as a little fur baby, who cannot love Golden Retriever puppies; but it’s taken some time for him to capture my heart. My husband wanted to get a new dog before I was ready, but I’m loving him more each day. So take your time in getting a new puppy, you’ll know when it’s time, or maybe it will never be. But one thing for sure is Teddy will always be in your heart as Gunner is still in mine. How sweet a tribute to your beloved dog. 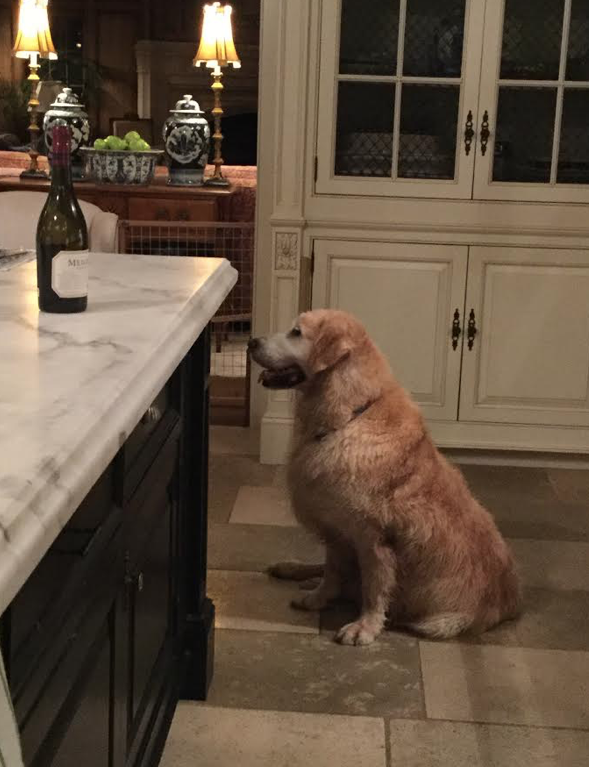 As I have lost several of my labradors, I understand. But to let you know, you should definitely get another fur baby. I have and while they have not replaced my babies that I have loss, they definitely fill a void. Best wishes!